Motor vehicle accidents are the leading cause of death for people aged 15 – 20. Of all age groups, teens have the highest risk of getting into car accidents. While many teenage car accidents in NYC can be blamed on no one, some are the direct result of careless or negligent behavior. If you or a loved one has been injured by a careless driver, it is important to have an experienced personal injury lawyer on your side. 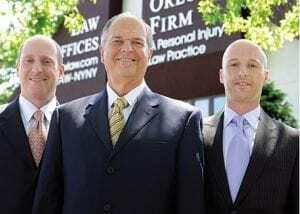 Contact our New York City law firm today to speak with an experienced New York City teen car accident attorney. Have you or a loved one been injured in a teen car crash accident? If so, contact our New York City car accident lawyers today for information regarding your legal rights.